The German Wind Farm developer ABO Wind Ltd. has plans to build a Wind Farm of up to 25 Turbines of 132m to tip height in the Kilmorack Community. Land that had been previously scoped by Falk and rejected as unsuitable is the target of their interest and will include part of the Erchless Estate. Local opposition has been fast and furious with the local Community Council expressing their concerns and opposition to an industrial development in such a beautiful well populated rural area. 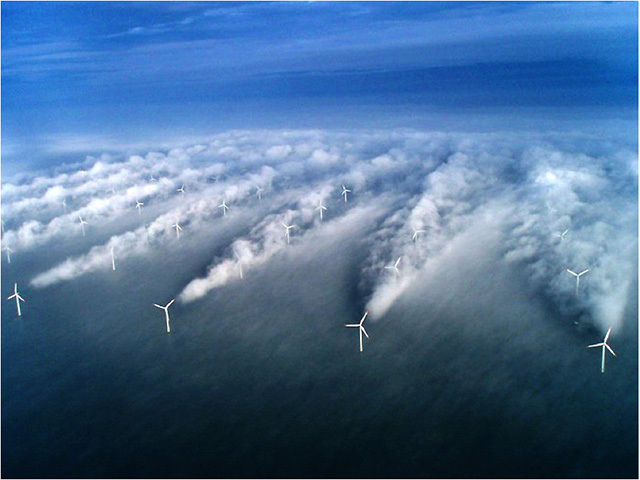 It has been called Allt Carach wind farm. The Gaelic literal translation is deceitful stream or wiley stream. 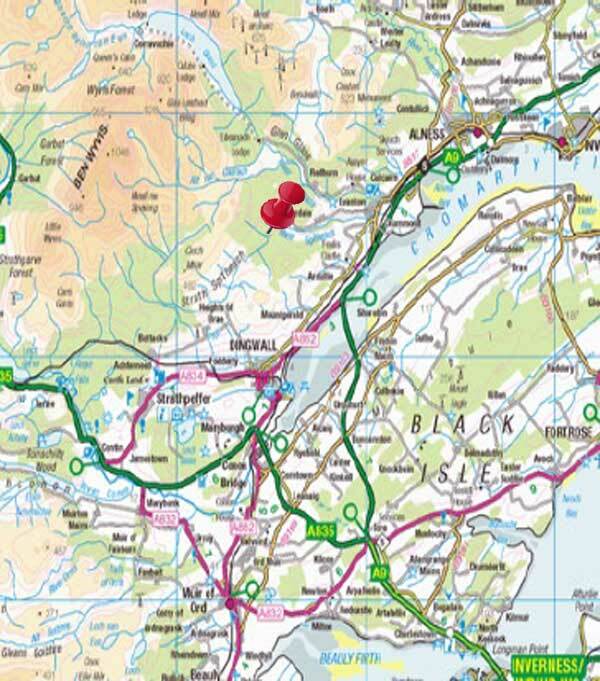 There are no areas on the OS map whose names are remotely similar. 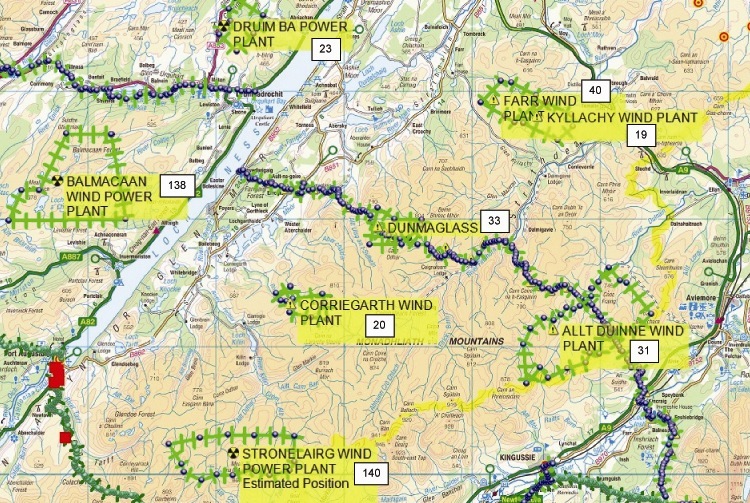 To add insult to injury ABO Wind Ltd are also planning a wind farm on the slopes of Ben Wyvis in the shadow of the Clath Liath Wind Farm application that was rejected. Would a German company welcome us to build a wind farm on the Zugspitze? If you want further information or are able to offer support please fill in the contact form. If you want to leave a comment on the blog just go down to leave a reply at the bottom. We live in one of the most beautiful areas of the Highlands, high on a hill and with views, North, South, East and West. In the ten years we have lived here we have enjoyed a fantastic lifestyle which most could only dream of. And no, I don’t mean spending money, cars, holidays and wide screen TVs. I mean to live with nature in all it’s guises. Looking after our cattle, even if it means up to your waist in snow, tending the sheep, seeing our roe deer with their young, the red stags with their harem. Hear and see the black grouse, watch the Red Kite, the Golden Eagle and the Buzzards. Watch the the kingfishers and the herons on the river and even sometimes catch a sight of the Osprey with a salmon. We have watched otters on the river, pine martin in the woods and been within inches of an owl as it swoops low over us. The spiders cobwebs covering every bush of a cool clear morning, the glistening shards of ice in the burn and the crunch of snow beneath our boots. Summer sun or winter snows, a continuously moving mosaic of colour and experience. We have made friends here. Not the passing acquaintances of a city but the true friends that you know will be there when the chips are down. We are fitter now. The cattle and the insatiable demand for logs keeps us active. One hundred and thirty eight acres do not look after themselves! Chain saw, fencing maul and tractor are more my tools than pen and computer now. So why am I telling you this? Well like so many in Scotland nowadays a dark cloud has descended on the Glen. 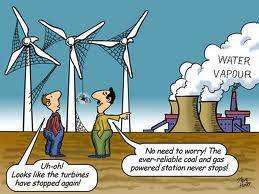 A German wind farm developer has signed up absentee landowners and a greedy local slipper farmer to build a twenty five turbine leviathan above our idyll. Our properties that represent a lifetime of effort are now virtually worthless. What do we feel? Angry, shocked, powerless. Those are the first thoughts. Many will recognise them. We feel let down. 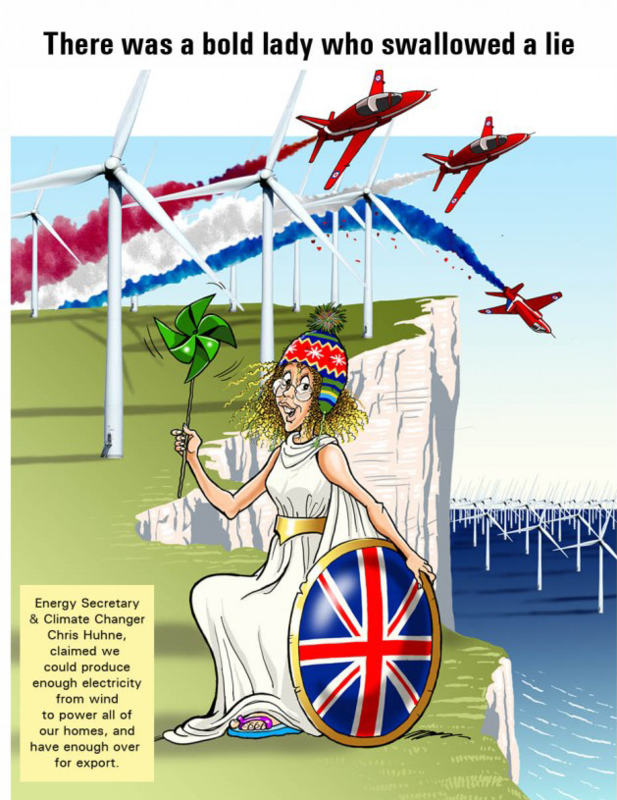 Our land could easily have hosted wind turbines. In respect to our neighbours, the wildlife and our enjoyment of our land we have always ignored the siren call of the Wind Pimps. Why should we benefit whilst it pushes poorer people into fuel poverty. We have little trust in authority to support our cause. Too often lately they have been found wanting. Renewable ambition over-ride the populace. True we have good friends in our Councillors but even their power is being eroded. Since April local councillors cannot sit on local planning issues as once they could. This is a Section 36 application so unseen civil servants who live in Glasgow flats and whose idea of fun is a Starbucks coffee will pass the papers on to Politicians with an agenda to industrialise Scotland at any cost. Mild platitudes of not building in inappropriate places ring hollow to those who have seen where they consider appropriate. The truth is that planning blight now makes our homes un-sellable. 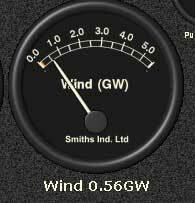 Not perhaps everyone but certainly ours as it looks directly over the planned wind farm only just over a kilometre away. Our neighbour to and some friends across the valley. The next reaction is cold fury. We know the game, we invented half the moves. This company has probably chosen the worst site in all the Highlands to choose and we intend that they suffer for it. We know that the cards are stacked against us but over the last few years we have cultivated many friends in high places and now it is time to call them to account. My fury is why should I now put my life on hold for two years to fight this monster. The enemy are all handsomely paid but not those subjected to the intrusion. This is in truth the Clearances Part II, but metal monsters that are a farce rather than useful sheep. 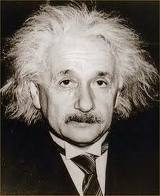 In these days Northumbrian shepherds are replaced by German engineers, but little has changed. No respect for those that live in this hard land. ” The home of the brave and the boast of the free! Keep off our patch ABO. We won’t give up – we will fight you every step of the way and then some. Professional teams are ready – we will not stop. You will not build your wind factory here. Not sure who’s doing the thumbs down to posts on here – must be pro windies. Perhaps ABO or their PR machine that hasn’t even had a chance to splutter into life yet having been unceremoniously flushed out before they were ready. 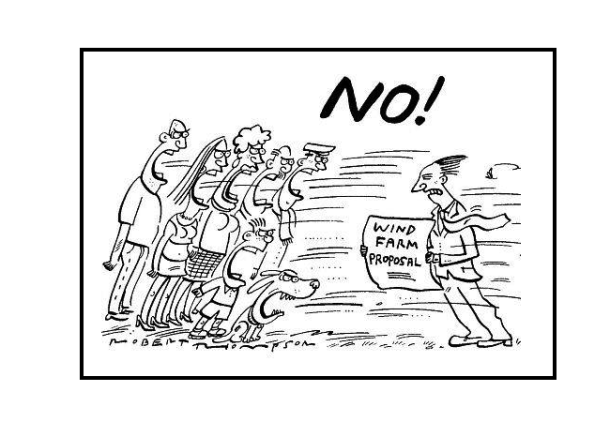 I haven’t spoken to a single supporter of this wind farm proposal and I have asked in and outside of the community. If they thought the Druim Ba campaigners put up a helluva fight – watch this one. WE SAY NO TO ABO. It would be a wise move for them to just go and ditch their unwanted plans and leave this community in peace. It would be nice to know who these fools and knaves are that are giving the thumbs down. I challenge any of them to identify themselves. I bet there is one stupid b~tch from Tomich amongst them.